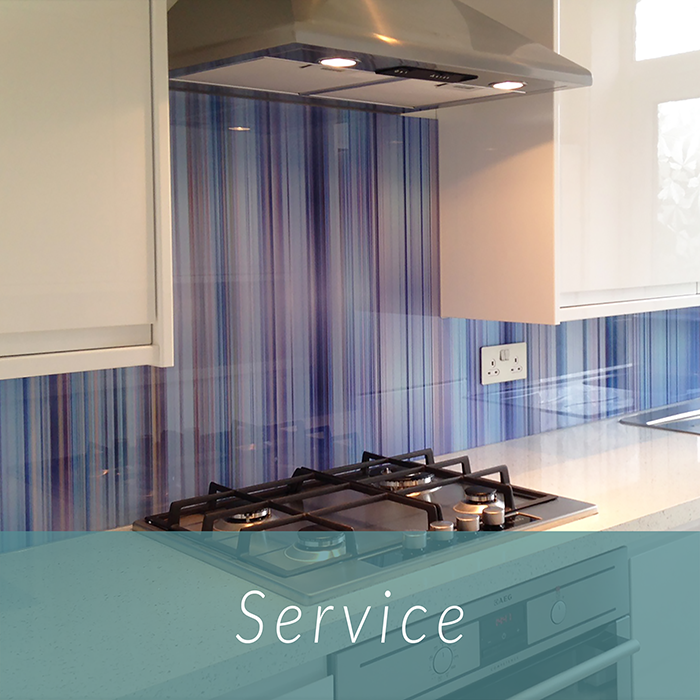 Coloured and printed kitchen glass splashbacks are the modern choice for protecting your walls. Sleek and streamlined, glass is also one of the easiest surfaces to keep clean and will last a lifetime with minimal care. We offer limitless colour choices, special effects and printed images, so you can order a unique design to create the perfect finishing touch for your space. When designing a kitchen there are many elements to consider – and getting the mix just right is easier said than done. Ensuring that your cabinets, worktop, wall coverings and flooring all work together takes a lot of thought and consideration, and it might be a while before you’re completely happy with the final design. Your splashback is often the last piece of the puzzle and this is where glass comes into its own – it is so versatile, and so many bespoke options are available, that you are sure to find the perfect option for your chosen scheme. From barely there neutrals to bold bright colours, from subtle tiled patterns to attention-grabbing photographs ­– whatever look you have in mind, it can almost certainly be achieved with glass. Although glass splashbacks have a modern feel and look great in contemporary spaces, they complement every style of kitchen. Traditional cabinets with detailed doors often look best with understated wall coverings that don’t compete for attention, so a plain coloured glass splashback makes an ideal partner. And the glossy finish of glass is an elegant contrast to natural wood finishes, while also bringing a contemporary edge to the overall scheme. 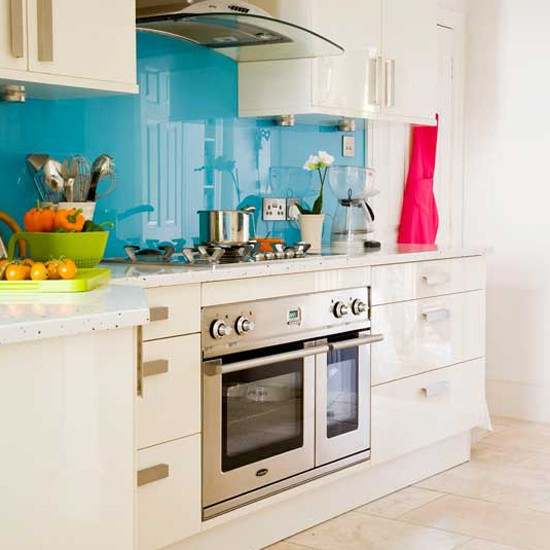 Kitchen glass splashbacks are also a highly practical option – they can be wiped clean with a damp cloth, require almost no maintenance, and will look polished, glossy and as good as new for many years. Our glass is fully toughened (also known as tempering), so it is safe, shatterproof and can withstand high temperatures from hobs and other heat sources with no fear of cracks, marks or stains. Take a look at our Colours page to see our Core Colour range, or our Printed page for image ideas. Visit our Gallery page for further inspiration or contact us to get an estimate or order samples. Easy Glass Splashbacks Kitchen Glass Splashbacks come in any size – we do not have “standard sizes”, and each panel is cut to order. If a glass panel needs to be cut off square, no problem and at no extra cost! 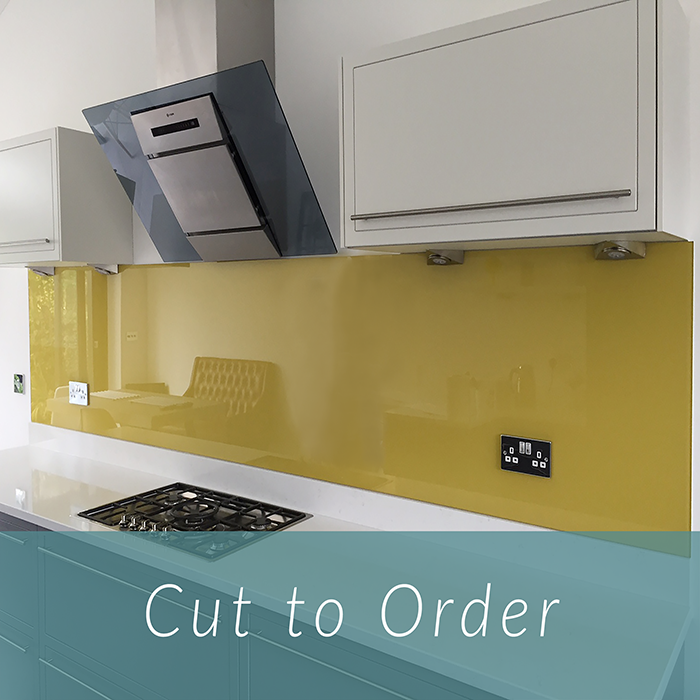 Cut-outs for sockets are all part of the service we offer, and if you want your glass cut to the shape of your cooker hood, then again no problem – just send us a template or drawing for your supply only kitchen glass splashback. Our kitchen glass splashbacks are all manufactured from 6mm low iron, extra clear toughened glass, which is extremely impact resistant and will withstand the high temperatures behind your hob. 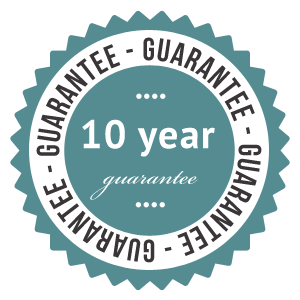 We offer a ten-year guarantee against fade or peel on both coloured and printed glass panels. 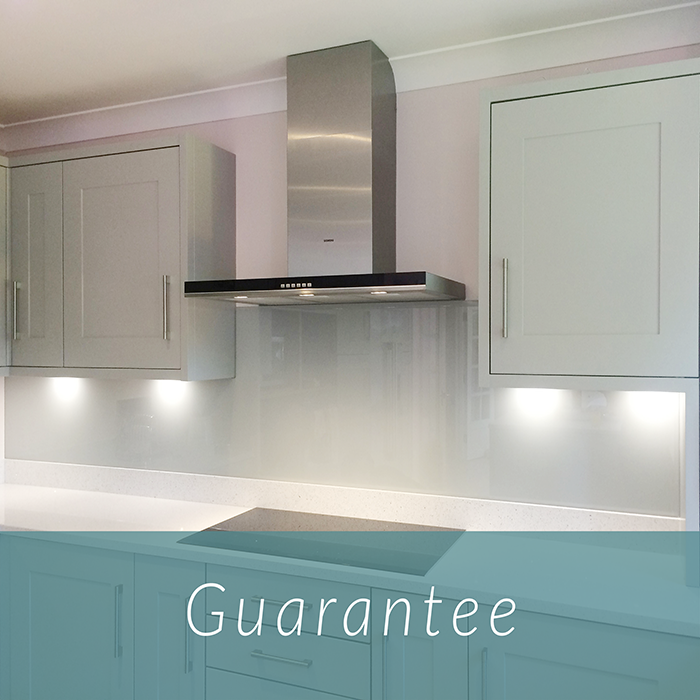 Here at Easy Glass Splashbacks we are dedicated to offering you the best service at affordable prices. 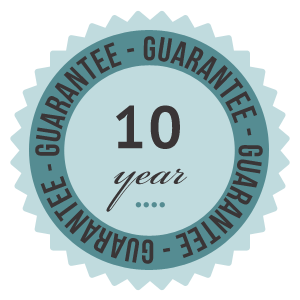 We offer many years of experience in the industry. 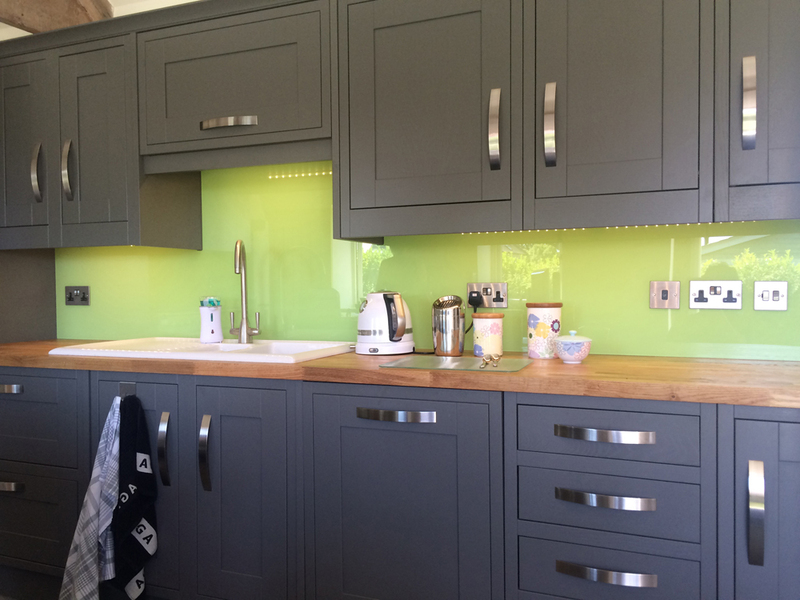 Whether you are looking for supply only of a single kitchen glass splashback, or you want the full service of our experienced survey and fit teams, Easy Glass Splashbacks will make your experience with us a painless and pleasant one. For information on costing, please go to our online price calculator. If your requirement is for a square or rectangular glass panel under 1200mm width x 1000mm height, you can make your purchase online for a speedy 7 day delivery. And if you want a larger job measured and fitted, then we have the most experienced teams in the UK. Please contact us using our contact form, or call our friendly sales team on 08000 355614.